Vickie started her insurance career in 1987 with Aetna Life and Casualty. After her position was moved to Atlanta, she joined Zander Insurance as a receptionist and worked in various capacities for the Nashville based agency. She worked at Zander Insurance for almost 20 years where she was the Personal Lines Manager there for almost 10 years. She left there to pursue her life long dream of photography. After 2 years of pursuing this career, she went back to work as the Personal Lines Manager at WC Dillon Company. She joined FPA in 2016. 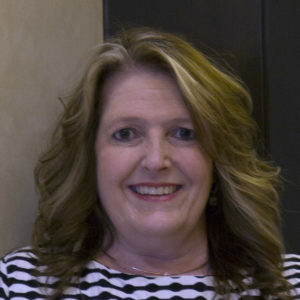 At FPA, Vickie will specialize in assisting and consulting the agency’s high net worth clients while providing support for FPA’s account executives by providing new business quote assistance. She has a vast amount of knowledge of working with the agency’s HNW carriers and company partners. A lover of photography, traveling and crocheting, she and her husband reside in Dickson TN, They are parents of 2 sons and are proud grandparents of 2 grandsons.